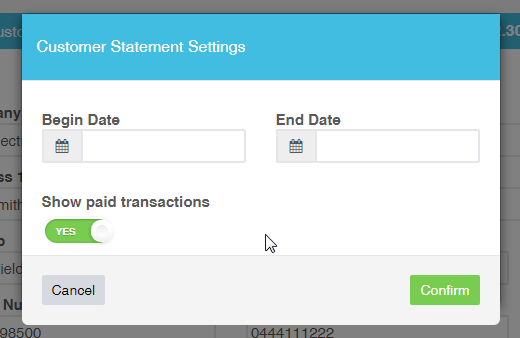 1) Go to the Print/Email Statements icon in the top right hand corner in the customer details screen, and select "Print Statement"
2) Fill in the filter details and click "Confirm"
The statement will now come up on the screen, with your filtered results. 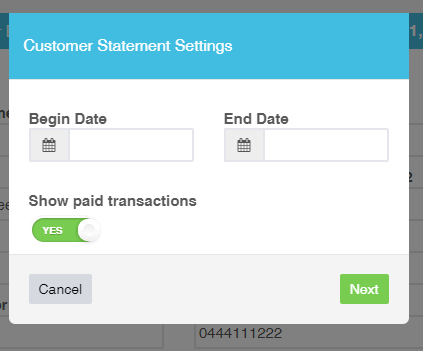 1) Go to the Print/Email Statements icon in the top right hand corner in the customer details screen, and select "Email Statement"
2) Fill in the filter details and click "Next"
3) Fill in the email, subject and email message. You will now receive the email with the statement attached. 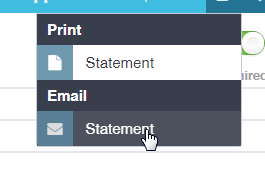 This statement will have the filtered results. 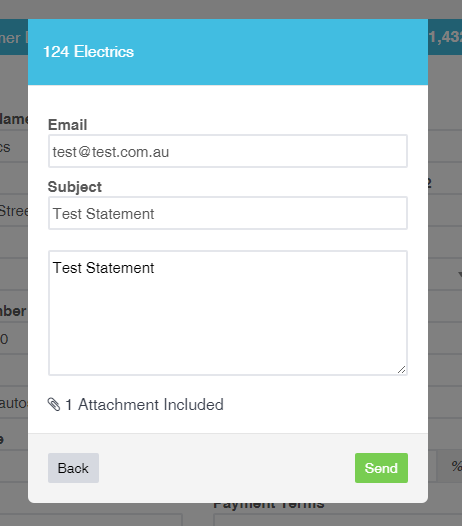 In the past, when you emailed, the template used was a template different to the one chosen in Company Settings. 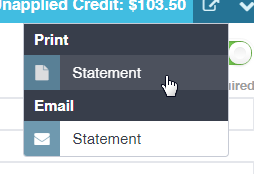 This is great for anyone in countries that don't use the "$" symbol, and also provides some much needed consistency between your emailed and printed invoices.